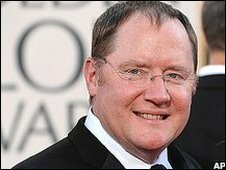 US animation director and producer John Lasseter will receive a lifetime achievement award at this year's Venice Film Festival. Lasseter is the creative force behind box office hits including Toy Story, Monsters Inc and Finding Nemo. He will share the award with the directors of Disney Pixar studios, the first time an entire team has been honoured with a career award. The Venice Film Festival takes place in the Italian city from 2-12 September. The movie maker was one of the founders of Pixar and became chief creative officer of the new company when it was bought by Disney in 2006. Lasseter, whose latest film Wall-E is nominated at the Oscars, oversees all of the studio's output. Venice organisers called Lasseter "one of the great innovators and experimenters of Hollywood." In 1995, he and his team created Toy Story which was the first full length feature to be digitally animated in its entirety. It earned him a special achievement Oscar. He has consistently produced work which receives both critical acclaim and high box office returns. 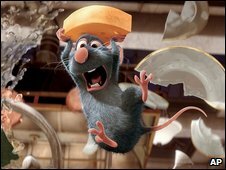 Festival director Marco Mueller, who is known to be a fan of animation, said Lasseter has a unique ability to "find that point at which the avant-garde meets the blockbuster." The lifetime achievement award will be presented during the festival in September.